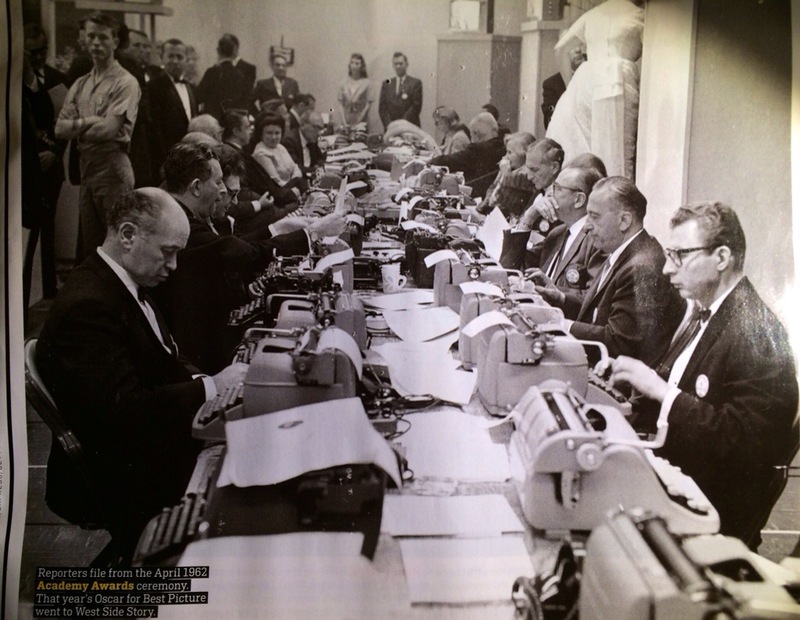 Here’s a double row of newspaper pros clacking their stories backstage at the 1962 Academy Awards. Photo by William Lovelace/Express/Getty Images–as seen in AdWeek’s 3/24 issue, which noted that West Side Story won Best Picture back then. There must be two dozen machines; bet that made an awesome sound.